"Religion, caste, and State are key words in understanding India's failure to mature into a full-blooded democracy. There is all-round failure of Indian State, in particular its executive and legislative wings. Judiciary still retains some credibility. Millions of Indians still look to it for succour. But given its lackadaisical style of functioning, and slow grind, it has also belied people's expectations. The pernicious nexus of religion with politics and the mindless use of it as purveyor of communal hate are matters of grave concern. The BJP's Hindutva politics still remains the most abominable form of use of religion in politics. The cascading effects of globalisation on religion have not received much attention in the media and in scholarly works. There are other issues as well relating to globalisation and religion such as the continuing use of religion to peddle superstitions, obscurantism and irrationality, and international terrorism both state-sponsored and religion-centred. 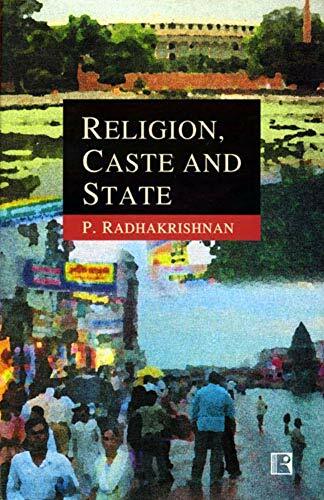 The use of caste in politics, and the depravity and depredations of India's political class reflecting the aberrations and absurdities of caste-based politics continue to undermine and slow down India's transformation into a full-blooded democracy. The State's failure to see the education system in perspective and strengthen it from primary to tertiary levels, and the entry of private entrepreneurs into the education sector in a big way have already driven the system haywire. The recent decision of introducing reservation in higher education is likely to add to the problems of Indian education and to the confusion and frustration of the youth across the entire social spectrum. Such and several other important issues which are indeed of nation's concern have been discussed in the book."